Joy cannot be bought with money for it comes from the wellspring of the spirit. 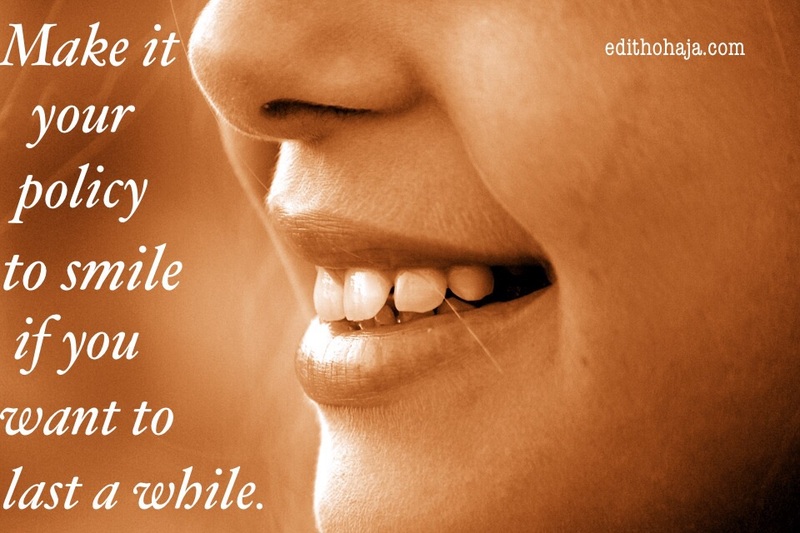 Make it your policy to smile if you want to last a while. Giving opens the gates of joy and makes the spirit soar. Bless you, Chidey! As we do that, our own joy springs up ceaselessly. My dear you are right. If joy can be bought with money poor people will never have access to it. Wow! Bless you, Barrister! Glad you stopped by. Joy like a river in my soul. Joy in all that I do and this is flowing into my life everyday. Thanks once more Aunty Edith. "Giving opens the gates of joy and makes the spirit soar". Love that one!